DURHAM, N.C. — Duke University removed a statue of Gen. Robert E. Lee early Saturday, days after it was vandalized amid a national debate about monuments to the Confederacy. 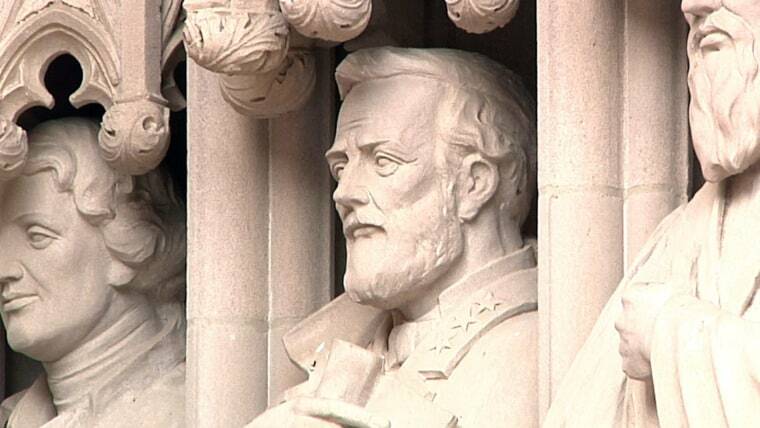 The university said it removed the carved limestone likeness early Saturday from Duke Chapel where it stood among 10 historical figures depicted in the entryway. Another statue of Lee was at the heart of a violent protest in Charlottesville, Virginia, that turned deadly a week ago.